On Monday December 3rd, Whitall will be joined by the singer's first husband Chuck Mitchell at Baldwin Library in Birmingham to talk about Detroit’s 1960s folk scene, Joni Mitchell’s career, and more. Despite her current recognition as a musical icon, Whitall says Mitchell didn’t always get the respect and attention that she deserved. Many of her early interviews were conducted alongside her first husband, folk singer Chuck Mitchell. Canadian-born Joni Mitchell made her American musical debut on Detroit's folk scene during the 1960s. Whithall says that during those conversations, interviewers treated Joni more like Chuck’s “missus” than as an independent musician. “There was just a sexism to it, and she was a cute chick. And guys would always say to her, ‘Why don’t you be a model? Why do you want to be a folk singer? It’d be so much easier.’ But in the same breath, they would ask if they could use one of her songs,” Whitall explained. Mitchell grew up in Saskatchewan, but her relationship with Chuck Mitchell eventually brought her to Detroit. There, the musical duo became a kind of bohemian “it couple" on the local folk scene until their separation in 1967. 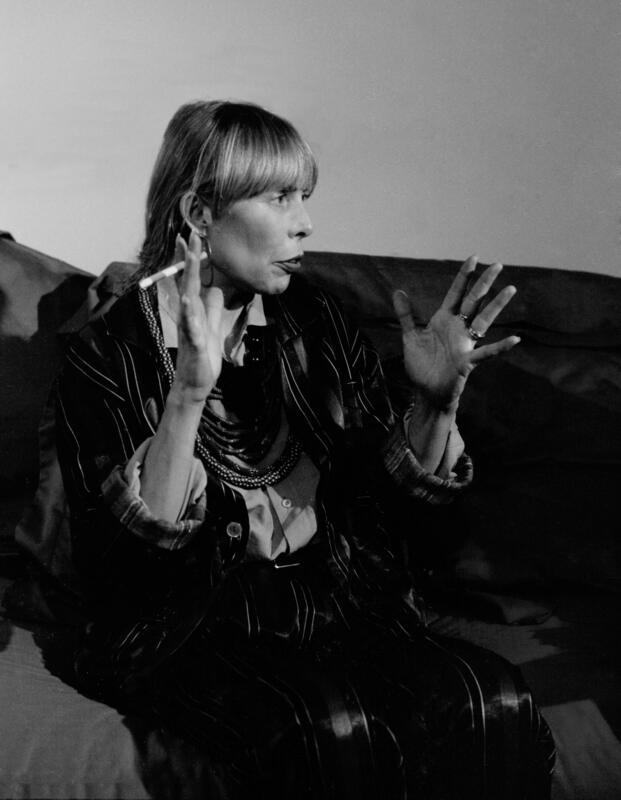 Joni Mitchell, who wrote many of her own songs, went on to pursue a solo career. When she did, Whitall says, Mitchell faced a great deal of sexism from major figures in the music industry. “They were treating her like a commodity, and she just hated that. She was constantly complaining that the record executives wanted her to look pretty, they wanted a certain demure attitude,” Whitall said. But those obstacles didn't stop Mitchell from becoming a star. With nine Grammys and a spot in the Rock and Roll Hall of Fame, she has secured her title as a female artist whose work will continue to shape music for generations to come. Listen to Stateside’s full conversation with Whitall to hear more about how Joni Mitchell got her start in music, her marriage to Chuck, and the artists that most influenced her work. Bill Harris has been a central figure in the cultural life of Detroit for a long time. The Kresge Foundation gave him their prestigious Eminent Artist Award several years ago, and his plays have been produced around the country. He has also published poetry and innovative interpretations of African-American history that defy any easy categories.